This shirt is a dark blue denim, and lighter on the inside (as you can see when he rolls up his sleeve). It has two breast pockets and dark buttons. 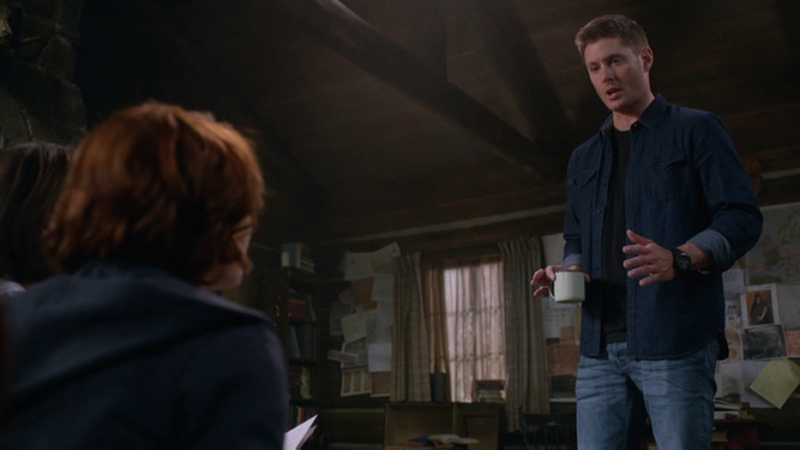 In Book of the Damned (10x18), Dean wears this from after Charlie calls until they defeat the Stynes at the cottage and Sam burns the book. 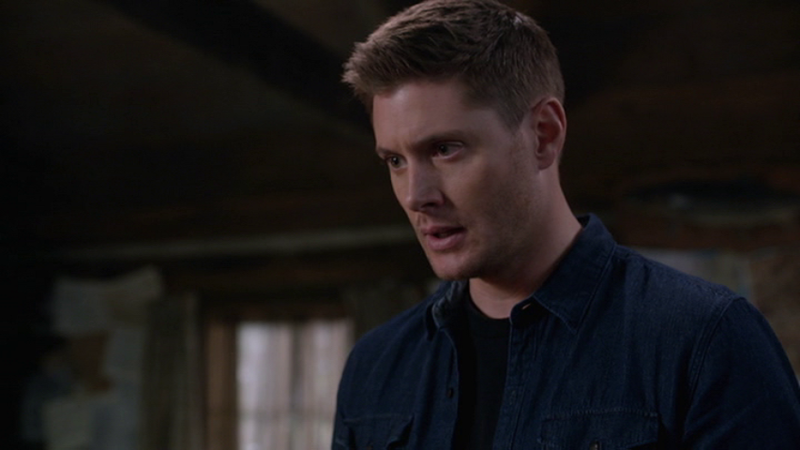 In The Bad Seed (11x03), Dean wears this shirt when they are back at the Bunker, having successfully captured Rowena. He wears it until the end of the episode. In Our Little World (11x05), Dean wears this shirt at the end of the episode when he and Sam talk with Cas in the Bunker. Oh shoot, did he really? That's a shame. But there have been such continuity errors before, so you never know! I do love those dark blue shirts. One of his best colors. Course, blue is good on almost everybody, but of course, we are talking about Dean here. Paired with a black t-shirt, like most everything is lately.